Discussion in 'Pokémon Role Play' started by BeastieBayleef, Sep 2, 2010. "Ugh.....oof.....where am I?" Cody opened his eyes to see the aqua blue sky which was mixing into to a purplish shade because of the setting sun. Cody stood up. As he took a look around him he saw the crystal clear waters of the oean. He was on a beach. There were many Krabbys blowing bubbles under the evening sun. "How did I get here?" Cody thought. He walked over to the water and looked at his reflection. Cody screamed and stumbled backwards. "It can't be! I'm a Chikorita!" Cody cried. It was true! He now had a lime green body and a massive leaf attached to his head. Not to mention the dark green bumps around his neck. Cody hoped that his lucky necklace hadn't been replaced with the bumps. But, it was still there. Th roundish stone with the weird markings hanging on a piece of thread was still around his neck. "I don't understand. I can't remember anything. And why am I a Chikorita?" Cody thought. Suddenly, a large apple went rolling by. A chubby Wigglytuff ran after it. "Sir, can you give up on the apple already? We've been chasing it around for over two hours!" A Chatot squawked flying ahead of the Wigglytuff. "That reminds me, Chatot, how did it go today?" the Wigglytuff asked. Chatot sighed. "Not one new recruit." "For what?" Cody asked approaching as casually as possible. "For our guild of exploration teams." Chatot replied. "Exploration teams?" Cody was puzzled. Just then, Wigglytuff whispered something to Chatot. Chatot nodded. "Say, kid. How would you like to be part of our guild. I can teach you all about being an exploration team and get you settled into your crew room right away. What do you say?" Cody thought for a minute. "I'm in!" he said at last. "And by the way, I'm Cody." "Great!" said Chatot. "I'll show you to the guild and you can get started first thing tomorrow morning. As the three scurried away across the sand, darkness settled in. Once in Treasure Town, Wigglytuff gave Cody a wonder map and a treasure bag. "You'll be needing these. Trust me." As Cody walked down the stone streets of Treasure town, past storefronts and up to the guild, Cody thought, maybe they can help me discover my past. I know I wasn't always a Chikorita. You do not have to be an explorer. You can be a shop keeper in Treasure town or just a normal citizen if you want. Dunsparce relaxed, enjoying the gorgeous weather of this day. It was the best weather he could imagine, but he also didn't just want to waste it with relaxing. Dunsparce and his parents lived inside a cave near the beach, and although they normally lived inside caves, they didn't avoid sunlight - they enjoyed these days. But for now, Dunsparce had warmed up enough. He coiled up and rolled down the rock he had been sitting on. Gaining more and more speed, he crossed the beach and touched the tepid water. He expanded and started swimming, using his tail like a paddle. When he wanted to swim back to the beach, he heared a sound just behind him. When he turned around, he only saw a Sharpedo's face before it hit him like a rocket. Totally shocked and paralyzed, he wasn't able to react when Sharpedo started a second Skull Bash attack. So,Cody was assigned a crew room, and he decided that before dinner he would take a walk on the beach. He walked along the beach still thinking about his past and why he was a Chikorita, when someone cried out for help. Cody scoped the area until he saw a Dunsparce cringing and fainted from being hit with massive force by a Sharpedo that circled around it. Cody knew he had to help. But how could he? Cody ran over to the water and waded in untill he was knee deep in water. And just as the Sharpedo pounced again, Cody let out a Razor Leaf at full power. The sharp leafs scratched the Sharped near its eye and also in is middle. The Sharpedo dropped into the water and swam away, fin sticking out, still acking from its scratchs. Cody grabbed the Dunsparce and pulled it in with vine whip. "Thanks!" said Dunsparce. "No problem." Cody replied. Just then, both of there attentions were turned too an Eevee triping over a rock. "Since you helped me." Dunsparce said. "Now, you may want to help her." Cody rushed over. "Are you okay?" "Wait, I'll help you", Dunsparce said before he saw that the pokémon they were helping looked sad - but not because it just had triped. "What's the matter, Eevee? You seem to be sad..."
BIC: Eevee looked at them and said "I always wanted to be in a rescue team but whenever I try I just get scared. I been trying for a few years but I cant do it mabey its because I am clumsy" said Eevee while Kicking a rock into the water. "Well maybe if you come with me, I will ask Wigglytuff, the guildmaster, if you can be on a rescue team with me! You too, Dunsparce! We can all be an exploration team together! What do you say?" Cody said. At that moment, an Electabuzz and a Rhyhorn tackled Cody! The Electabuzz took Cody's necklace. "So, Chikorita, didn't know you were traveling around with a treasure around your neck, eh?" "Give it back!" Cody cried. "No can do!" Rhyhorn exclaimed. "We're selling this treasure of yours. We've been watching you and apparently you dumb enough to think that it is a lucky charm We will be rich!" With that, the two ran down the beach and dissapeared. "Will you guys help me to get it back?" Cody asked Dunsparce and Eevee. "Hey, of course I'll help you! I also have been training to become a Rescue Team member. Don't worry!" "Does anyone have an idea where they could have gone?" Eevee pointed out the cave near the beach. "Over there! We could go in but.... we may lose its filled with tough oppents but this is a Rescue so lets go!" "We'll do it, I'm sure! And besides," - Dunsparce dug into the sand and returned holding a little bag - "I've got several things I always wanted to test. Now I'll do it!" He took three different scarfes. "Here, Eevee, try this Defense Scarf. I'm sure you'll like it! This one is for you, Chikorita. It's named 'Mobile Scarf'. I really don't know what it is, but please take it! And I'll take the Power Band, okay?" "Actually my name is Cody." Cody told Dunsparce. "It may sound strange, but I swear that I wasn't always a Chikorita. I know that I was once a human. But that's not important now. We have to get my necklace back. It's really special to me!" And so, the three set out for the beach cave. Once inside, it became very quiet and a cool mist suround the heroes, Cody, Dunsparce and Eevee. "So, how far do you think they went?" asked Eevee. "I don't know." replied Cody. "C'mon guys! I hear noise farther back in the cave." Dunsparce said. As the trio walked to discover the source of the noise, two Geodudes dropped from the ceiling. "Ohno!" Cody cried. "I'll take care of them!" Dunsparce exclaimed. As Dunsparce let out a take down on the first Geodude, Cody used vine whip on the other one sending it stumbling backwards into a cave wall. The last Geodude was fainted by Eevee's shadow ball. "C'mon! Let's get going before more come." Dunsparce commanded. As they advanced through the cave Eevee shouted, "I see a light!" It was true. There was an exit. Cody ran torwards the light. Since that was the exit to the cave the theives must be there. Just as Cody was about to get out, a Shellos slithered out from under a rock. Dunsparce hit it with tackle, first. "You guys go get the necklace, I'll take care of this Shellos." Cody and Eevee ran out the exit only to find themselves on a big rock formation. There was Electabuzz and Rhyhorn. "So, you made it. But, you came here for nothing. This treasure is ours!" Rhyhorn boomed. "C'mon Eevee, we have to be brave. They are going to be incredibly powerful." Cody explained. "Right." responded Eevee. With that, Cody and Eevee lunged at the Pokemon only to find that within three minutes they were cringing on theground along with Dunsparce who had defeated the Shellos. "Hahaha!" Electabuzz chuckled. "You really thought you could defeat us. Well......" "YOOM TA!" A bright light flashed and when Cody looked up, he saw Wigglytuff posing with his necklace. Electabuzz and Rhyhorn were on the ground. "Next time, why don't you three just ask me to help you recover your necklace?" Wigglytuff said. "Now Eevee and Dunsparce, I think you'll be needing these." Wigglytuff handed Eevee a treasure bag and a wonder map and to Dunsparce he handed just a wonder map. "Welcome to the team. Now, let's go back and eat dinner. Then, we can get some rest." Wigglytuff said. And that was that. "Wow, I still didn't realize it yet... I'm a member of a Rescue Team. And all that just because of you two, Eevee and Cody. I really have to thank you..."
"But, Cody, you told us you were no pokémon, but a human? I don't really understand this..."
"Neither do I." Cody replied. "But, all I know is that since we're together maybe we can all help discover my past. Well, it's late. We better be getting to sleep." Zzzzzzzzzzz...... The next morning, Cody joined his friends in the main hall as Chatot went over some announcments. After everyone was dismissed Chatot told Dunsparce, Cody and Eevee that they would have to come up with a team name. Everyone started sugesting names but ended up agreeing on Team Silver. Chatot told Team Silver to go out and meet some of the citizens of Treasure Town. After a couple of greetings Team Silver ended up at the Keckleon Bros. shop. Cody bought a big apple along wih a couple of orbs to sort out among the group. Eevee split the big apple in three and she, Dunsparce and Cody each enjoyed a piece before falling asleep in the aftenoon sun. Cody was dreaming. He was dreaming about a bad storm. Or was it a storm??? Someone was calling his name. Ugh! Cody woke up in a cold sweat. Dunsparce was already awake, sunbathing and Eevee was playing with an escape orb, throwing it at a tree, watching it bounce back. Cody shouted, "Guys, I just had the wierdest dream! Dunsparce turned onto his belly and tried to catch the Escape Orb Eevee was playing with. But because he was neither able to jump high enough nor he had arms or hands, he failed using his much too short tail. When he distinguished that it was pointless trying on, he sat down again. "So, what was the weird thing with your dream? What happened?" "It was really wierd. It was sort of like a bad storm. All I know is that is was loud and dark until light flashed every couple of seconds. A familiar voice called out to me. It was.......ugh!" Cody cried. "I can't remember. But I's getting late. Let's head back." Mudkip was a very experienced explorer in Wigglytuff's guild. He heard that there was a new exploration team in the guild. He and his partner, Pikachu. The new exploration team consisted of a Dunsparce, an Eevee and an odd Chickorita named Cody. At the dinner table Mudkip told them all the tips about exploring before turning in for the night. The next morning, Chatod summoned the three new Rescue Team members for a briefing. "As you surely can imagine, you're not just here to relax and eat our food. Of course we also have things for you to do." Chatod unfolded a map showing the region around. "See? We're here. About three miles northwards there is a cave. A Kangashkan asked us to find her baby. She said it had disappeared when they had a walk near the cave's entrance. So your job will be: Find Kangashkan's baby!" "Now we are members of a Rescue Team, and all we're allowed to do is looking for a lost baby... I had hoped to get more than this." "Well, maybe after curfew, you and I can explore on our own. We can even get Eevee to come with us. But, right now we're looking for a lost baby. Maybe we can get some more info from that Mudkip and Pikachu from last night." Cody responded. "But, before we go to look for it, I want to buy some stuff from the Keckleon Bros. shop. Everyone looked for Mudkip and Pikachu but they were nowhere to be found. "Guess they already went off. Let's go down to the shop." Eevee told Dunsparce and Cody. At the Keckleon Bros. shop, Team Silver purchased two apples, a blast seed, two stun seeds and a drought seed. On the way to the mission Cody ate one of the apples. The were his favorite! "Hey, Cody, don't eat all our stuff! We also want to get something! ", Dunsparce laughed before speaking normally again. "Our search will start near the entrance of Pillar Cave. Maybe Kangashkan's baby tried to hide there during the thunderstorm of last night..."
Instead of crossing the hills on their path, Dunsparce dug tunnels for him and his companions. "Has anyone of you ever been here before? Me not..."
"Well were not going to find that baby just standing around" said Eevee "We better go quick before another storm starts see over there if were to quick we'll be paralized or Kagashakan's baby well.. nevermind lets go!" Said Eevee. After battling all the diffrent kinds of Pokemon with Cody and Dusparce she notice it becoming a little wet. "Hey I think the storm is brewing we have to hurry and find Kankagashkaun's baby!" Dunsparce slided down a wet rock and congealed immediately. He turned his head around and stared into the darkness inside the cave. "There's something inside here", he whispered. "And it's not Kangashkan's baby..."
Again, he turned around his head. "We are living inside dark caves, so I can feel it if anyone is walking around here. And this 'anyone' is really heavy..."
"Plus, those Pokemon we battled earlier were pretty weak. I mean Mareep, Abra, Lileep. Not the strongest Pokemon. But, I can feel this onecoming too, Dunsparce. It's huge!" Cody replied. As the big ?? ?, Cody started walking backwards. Suddenly, Cody reached into his bag and pulled out a stun seed. He threw it farther into the cave. I must have hit the big ??? because it let out a giant roar. Mudkip and Pikachu headed toward Steam Cave. They had to find the rumored torkoal treasure. "Let's go Pikachu"! "You go so slow" yelled Mudkip as he ran ahead of the yellow pokemon. "Here we are" said Pikachu "Steam Cave". "Let's go" said Mudkip. "Wow its hot in here" said Pikachu. Mudkip and Pikachu found the place where the traesure was, but how do the get it. "There has to be at least one tousand torkoal down there" said Mudkip as they stared down from the cliff they were on. "And the worst part is that there is a giant torkoal in the middle". Mudkip and Pikachu snuck past the torkoal witout being seen until they got to the big one. "How dare you come to steal the torkoal treasure" boomed the giant pokemon "Now get ready to feel my wrath"! He suddenly spun around in his shell hitting the two partners and sending the smashing against the cave wall. Then he blasted the with a fire blast. "He's too strong" said Pikachu. "Pikachu create a distraction" yelled Mudkip. Pikachu did as he was told by running aroung the torkoal in circles. While the giant torkoals back was turned Mudkip hit it with a whirlpool sending it spinning and smashing into the other torkoals. The torkoal had a big treasure chest behind him where he was originally standing. Mudkip opened it. It was just a bunch of gummis! "All that for nothing" said Pikachu. "Eekkk!!!!" Creid Eevee "whats in there? Anybody want to go in? I am not to risky!!!" asked Eevee Then she used Shadow ball into the cave. Then heard the roar agian. "Hey, Eevee, watch out! Maybe whoever he is, he doesn't want anything from us. So don't make him angry!" Dunsparce used his tail to dig a liitle hole into the rocky ground. "I'll have a look what's going on. I will be back in a few minutes." "Be careful!" Shouted Eevee "Wait what if we use flash inside the cave? Then we can see the pokemon! Dose anybody have flash?" Asked Eevee. Dunsparce shaked his head. 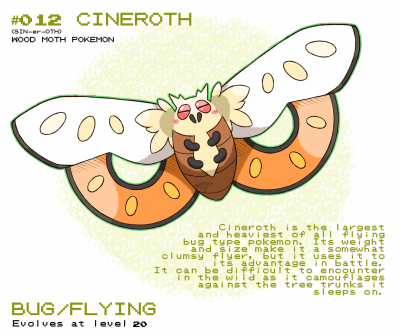 "Inside a dark cave, the pokémon living there normally don't like any kind of light. But maybe you should try this -"
He rummaged around in his bag. "Hm... I could swear that I had a Radar Orb with me. With this orb, we would have been able to see if someone is near us. Well, and I don't think that anyone of you knows Miracle Eye or something similar?" "Owie! My eye! Wells its either too hard or I just cant learn it" said Eevee "Mabey we just have to attack it from here when it faints we know what it is easy right? Well then Ill just use Shadow ball agian!" said Eevee while using another Shadow ball into the cave. As everyone attacked Cody looked in his bag for a max elixer. He was out of pp. Instead he pulled out a radar orb. He threw it and the cave lit up before Team Silver's eyes. "Hey, what's this noise up here? ", Dunsparce asked when he extended his head from his hole. But when he heard Tyranitar, he had got his answer. "Oh, my... Did you attack him? I told you not to do that!" Dunsparce turned around and stared at Tyranitar's face..
"U-U-UHHHH I ammmmm sorry!" Eevee said then shuddered with fear "I dident know it was Tyranitar if I did then I wouldent attacked the truth is I am afraid of him!" "I...dont hink I can attack!" Said Eevee then froze with fear. "Psst! Be quiet! Don't disturb me!" "That's it! Now you don't have to be afraid anymore. He is paralyzed by my Glare attack!" "U-U-Uhhhhh mabey we should finish him off? Before he heals himself magicly! But quickly the storm is starting!" Said Eevee while battling Tyrannitar while looking for Kangaskhan's baby. Cody ran past the paralyzed Tyranitar. Suddenly, he heard a noise from under a rock. Cody used vine whip to lift up the rock, and under it was KAngaskhan's baby! "Oh, so here you are!" Dunsparce opened his bag and took out a liitle blue berry. "Here, eat this Oran Berry, then you'll feel better." Dunsparce handed out the berry and turned ahead Cody and Eevee. "That's strange... When I were under earth, I should have noticed that someone else is here, but I only felt Tyranitar's appeareance. So, why didn't I notice Kangashkan's baby?" "Mabey sience.....hmmm your not underground as much the weather being on a rescue team??? I am not so sure" Said Eevee then felt rain drops "Well lets go before Chatot starts yelling because we got Kangaskhan's baby wet" said Eevee with a sigh. 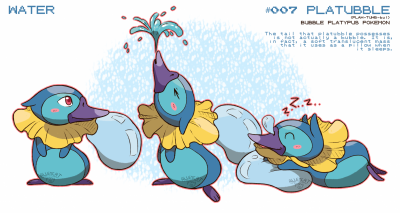 Once they got back to the guild, Chatot told Team Silver that the Mudkip and Pikachu who had given them tips about being a rescue team had been part of an exchange program. They traded Charmander for the two explorers. And that night in Team Silver's crew room, Charmander appeared. Charmander entered the so called "Team Silver" crew room and only to find a Dunsparce, an Eevee and a Chikorita fast aslep in their nests. He looked around for a little while before falling aslep too.